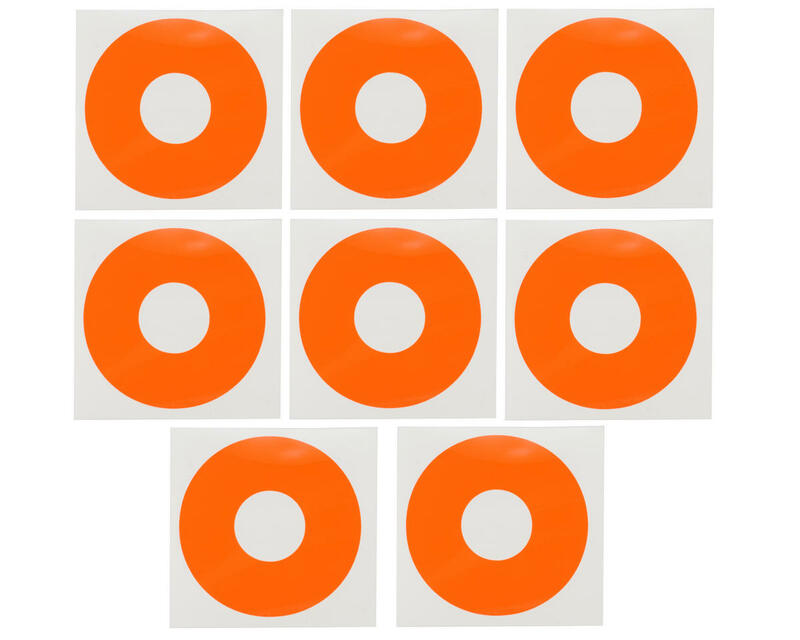 This is a pack of eight DE Racing Fluorescent Red-Orange 1/8 Buggy Wheel Sticker Disks. Simply named Wheel Sticker Disks, this 'Old School' concept has been brought back to life to further set your car apart from the crowd. 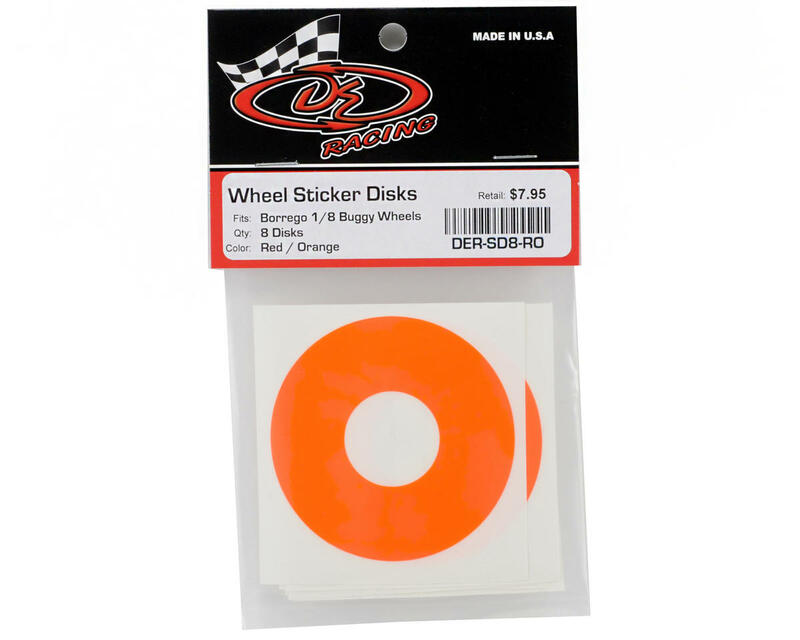 Developed for the DE "Borrego" line of 1/10 and 1/8 scale buggy wheels, these precut high quality vinyl stickers create a two-tone effect, highlighting the wheel's unique bead lock ring. Whether it's the high tech appearance of carbon fiber, the high visibility of fluorescent colors, or simply 'mud plug' matte black, these disks are sure to turn some heads.